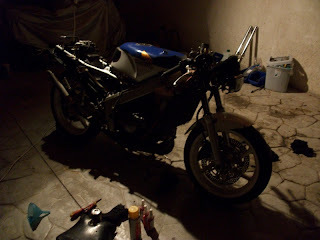 Spend a nice weekend with good company, servicing John's(GR) mc18 bike. New cylinders, serviced front forks, freshly colored wheels and a few carb issues corrected. 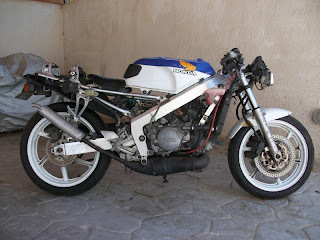 I can't wait to see the bike in it's new clothes ... it is a joy to ride.